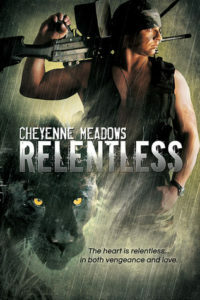 Jaguar shifter and sniper extraordinaire, Jag, is tasked with his most difficult and dangerous mission to date—take out the man responsible for his spotter and husband’s violent death. Again. Sonar, an ocelot shifter, is assigned as the new spotter to the surly and scowling feline alpha. He’s impressed with Jag’s skills but sees more beneath the surface: a grief-stricken and furious man on a trail of vengeance. Together Sonar and Jag face perils and challenges that test their skills, resolve, and the budding feelings they have for each other. As the death toll rises, so does the heat between them. Their longings could give them the strength needed to persevere, but it also might force them to succumb and sacrifice everything. One thing’s for certain: someone won’t be making it back alive. Revenge is the motivation behind this story or at least for Jag. Sonar is along for the ride. Jag is hell bent on getting revenge for his husbands murder and thinks that it has been done or at least until it isn’t. When Jag finds out that the person he believes was dead and is not Jag is determined to finish the job and Sonar is the spotter to help him complete this mission. Jag never expected to fall in love again and definitely never in the midst of finding the revenge for his husbands death but that is what has happened. Sonar is the opposite of Jag. Jag is serious all the time and Sonar brings a light to his life that he has been missing. The situation is a dangerous one and it may take a turn that neither man expected. One or both may not make it out alive. I enjoyed reading this book and it has amazing potential. I really wish it had been a series because I think the story would have been best told in a least two separate books but nonetheless it was a good read.